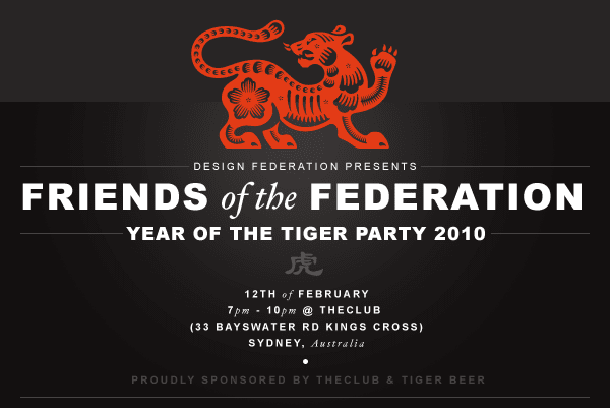 Design Federation is throwing a bash this Friday which will feature illustrations, art, graffiti, film & video, fashion, photography, industrial design, custom toys and animation. Tiger Beer and Bogong Valley Estate Winery are sponsoring the night and pop art portrait artist Julie Doyle will be painting personal one minute portraits of guests. There will also be prizes and giveaways....damn this will be a good night.